The outset of a new stage of your relationship should be full of bright impressions. That’s why couples start their married life with going on a honeymoon. Some people opt for a beach holiday, some go to popular tourist destinations, some decide to travel within their country. Each couple has their own understanding of a perfect honeymoon. If going to Paris or relaxing on the beaches of Bali is not your story, and you’d like something less mainstream, why don’t you choose Eastern Africa for your honeymoon destination? Plenty of romantic activities: dinner in savanna, hot-air balloon safari, exotic SPA. Here are some options for your unforgettable African honeymoon. It would be a crime not to go on safari when on your honeymoon in Africa. It’s an incredible change of scenery for any European or American. So, you get it – taking a safari tour is a must. Watching wild animals and birds in their natural habitat is a unique and indescribable experience. The sounds of wild nature will make your hearts beat in harmony. This will awaken your adventurous spirit and give those emotions your young family needs for a great start. The Maasai Mara National Reserve in Kenya is a perfect venue for safari. It’s like National Geographic came alive. Another stunning national park is the Serengeti National Park in Tanzania. It’s famous for the annual migration of wildebeest and zebra. It can be quite difficult to relax completely and enjoy your romantic dinner in savanna because of possible danger that the slightest rustle might bring. Especially if the bushes around you are high enough to hide any wild animal. However, an experienced guide will take care of your safety. It’s an exclusive hotel in the suburb of Nairobi. This is not only a hotel. Initially, it was (and still is) home for endangered Rothschild giraffes. Guests enjoy one unique entertainment – they can feed giraffes not leaving their rooms because these animals poke their heads through the windows. A night at this hotel is quite expensive, but you can enjoy the interaction with giraffes at the Giraffe Center. Enjoy the moment but don’t hide your camera because you’ll want to take many photos of beautiful places and landscapes. Of course, you won’t leave the above-mentioned national parks without pictures of local baobabs and herds of wild animals. Probably, one of the best photos you will make in the Amboseli National Park, where elephants leisurely walk against the background of Kilimanjaro. You’ll be positively impressed by the sunrise and sunset at Ngorongoro Crater. After several days of exploring the beauty of Eastern Africa, you’ll want to wash off your tiredness in the turquoise waters of the Indian Ocean. Beaches of Zanzibar and Kenya are at your service. Although they are quite popular among tourists, you can find some secluded villa on them. 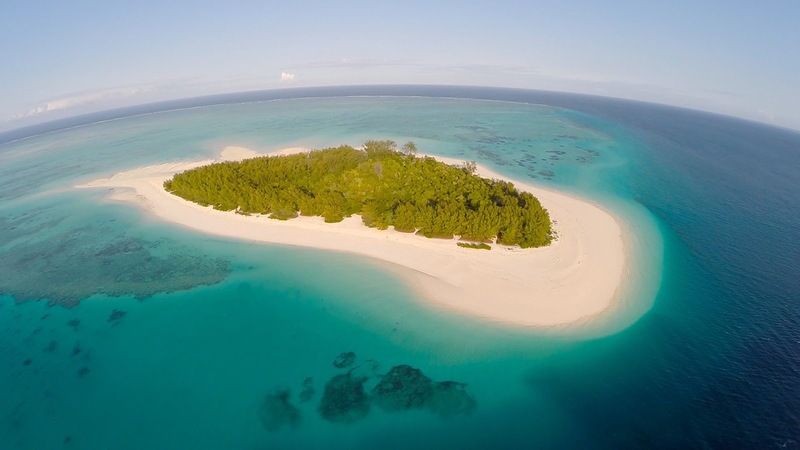 Pemba and Mafia islands are less-known Tanzanian gems. They are less crowded than Zanzibar but no less beautiful. If you want to enjoy the company of each other on a secluded romantic island, these two islands are perfect options. If you don’t have a travel companion, meet some Russian ladies – there are many adventurous spirits among them.